Someone near me grows Nugget and Cascade hops, and he has offered to give me a good bit. I would like to showcase these hops in a few IPA's. I need a little help getting steered toward a recipe. My ideal situation would be 3 beers, one with only Nugget, one with only cascade, and one with both. 1. Would these hops make a good single hop IPA? 2. would they work together in a beer? 3. For the cascade IPA, would I need to use a higher IBU hop for bittering (like the nugget), as I'm assuming I'd need to use a lot of hops since cascade is not generally really high IBU. And the bittering hops don't contribute to flavor, right? 4. These will be whole leaf hops, so will I need to use extra volume since whole leaf hops absorb more water, and if so how do I upsize the grain bill? I want all three IPA's to be about equal bitterness, but to showcase the individual flavors (I'm assuming through flavor and aroma additions). 1. I would steer you away from a single hopped nugget brew. I really like nugget, but in small amounts when used for aroma and flavor. Cascade is very good by itself, although it loves company. 2. I think they would work well together, but with more cascade than nugget. One of my favorite combos is a 3:1 mosaic to nugget brew. I imagine cascade would work well there. 3. The bittering hops do not contribute to aroma. Nugget is great for bittering. Not saying you cannot use cascade here, but nugget is a very good bittering hop. 4. Yes, they absorb more liquid. I don't recall the difference, but I use whole leaf a lot, and have never really worried about it. As with all hoppy brews you will need more liquid for your final volume. In general, I target 5.5 gallons, if I end up with a little bit more or less 5 gallons, then I am fine. RDWHAH. I on the other hand, being a big proponent of single hop brews, have made a number of them (including IPAs and Porters) with Nugget alone and absolutely loved the results. It totally depends on your personal taste, and the only way to dial that in is to brew with it and try the results for yourself. The interwebs are a great place for getting info and opinions, but sometimes (especially in food or brewing forums) it's to easy to get steered away from something you'd potentially like by listening to other opinions (no matter how well intentioned they may be). I appreciate all of the advice. I guess the only way to figure it out is to do it and see what happens. That's the beauty of homebrewing! When it comes to something such as taste, there really is only one way to find out, and that is to do it. Totally. Just as people have different tastes in beer, they have different tastes in hops. No substitute for experimenting to see what you like. I say go for it, but keep in mind that these are homegrown hops rather than commercially grown. The bitterness, flavor, and aroma from homegrown varies a lot more. Thus formulating a recipe can be more of a crap shoot- it's a fun crap shoot though. I've done a lot of brewing with my own homegrown hops and find them to be a completely different animal than commercially grown hops, especially in comparison to pelletized hops. I would assume lower %AA than average for the variety (e.g. my cascade were 4% when tested) and remember that leaf hops tend to result in lower utilization. In order words- hop the crap out of that first IPA to see if you can get in the hoppiness ballpark. If you overshoot bitterness, you can rebrew another batch (same grain-bill) with fewer hops & blend. Good luck & have fun with it. I would not automatically assume that the hops you received have a lower AA rating than commercial hops. 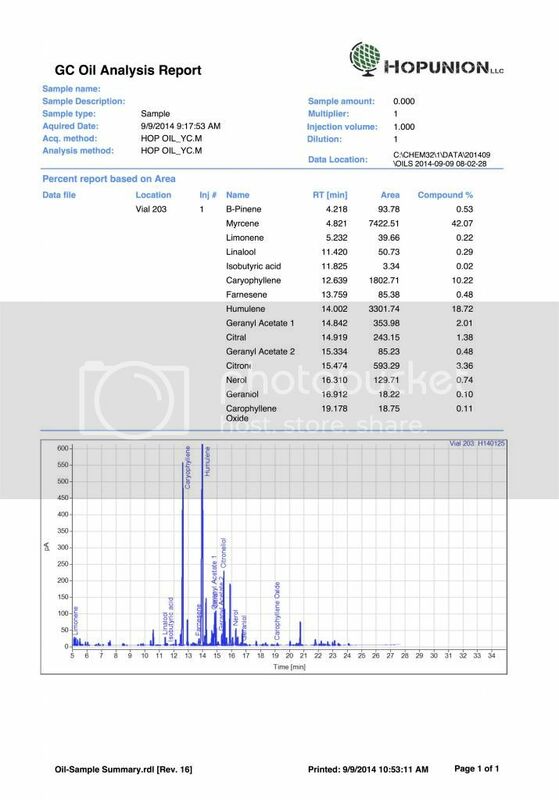 I had one of the varieties that I grew last year tested, and it came in at 16.4% AA. 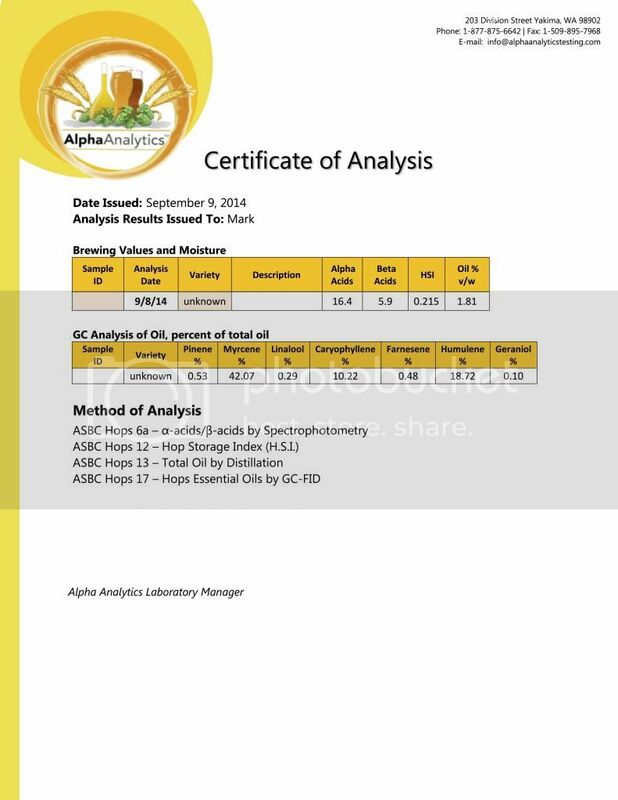 That's a good AA rating for well-grown commercial hops. The 1.81% hop oil content is nothing to sneeze at, either. What cultivar was this from?